Our glossary of pole dancing terms is ever-growing. Here you will find explanations and eventually pictures and videos to help explain everything you could want to know about pole dancing. When our guide says to place your hand on the pole, unless stated otherwise, this generally means having your thumb pointing to the ceiling. Placing your arm high on the pole means placing it high and straight but not too high that you are over stretching or lifting off the ground. If you find a move hard to do, you can always try it using the other arm as your strongest, until you have built up your strength. Climb the pole to a pole sit. Place your strong, inside hand on the pole in front of you at shoulder height and place your weaker hand across your body and onto the pole above it. Make sure you have a strong grip on the pole with both hands. Take your legs off of the pole and to one side – making sure your inside leg is your strong leg. Use your hand grip to pull up and then tip your body backwards. 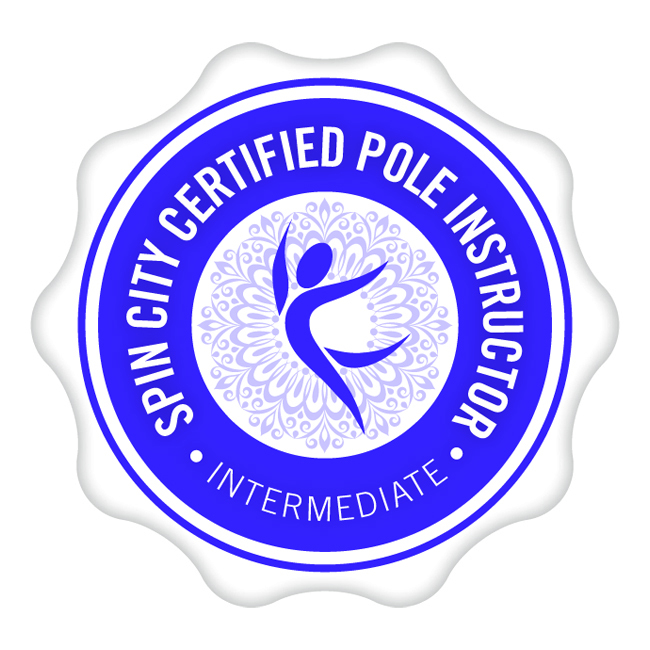 Stretch your legs up and hook over the pole as you would for a normal invert on the pole. Grip on the pole with your legs and take your hands off. Place your strong, inside hand on the pole with your outside, weaker hand on slightly above at shoulder height. Lift your legs up and hook your outside leg over the pole keeping it straight. Bend your inside leg at the knee to create a nice shape. Stand with your strongest side closest to the pole. Lift your inside leg up high and hook your knee over the pole and bend your leg. The bottom half of your inside leg should be horizontal with the floor. Lean the top half of your body away from the pole and pose. Stand with your strongest arm closest to the pole. Place your strong hand around and on the pole about shoulder height, keeping your arm bent. Place your weaker hand just above this. Your shoulder on your strongest side should be in line with the pole. Swing your outside leg and jump off the ground with your right to go upside down. Pull with your arms. Place your outside foot over the front of the pole and place your inside leg behind it. Grip with your legs. From the pencil pose hook your strong foot over the pole. Put your weaker leg at a 90 degree angle in front of your body. Point your toes. Try to arch your back to create a bow and arrow shape. Coming to standing pushing your bum up before any other part of your body. Place your strong hand high on the pole and your weaker hand about level with your hips. Walk around the pole. Keep your inside foot on the floor and swing your outside leg out, keeping it low. Bend your leg at the knee keeping it behind your body. Turn your body in to face the pole as you bring your inside leg off the ground. Bend your inside leg behind your body and try to put your feet together. These moves happen in very quick succession. Face the pole and place you strong hand high on the pole and your weaker hand underneath. Keep you forearms vertically on the pole. Bring both legs off the ground, bending them at the knees with your feet together and knees apart. Keep your arms strong and bent at the elbow. Keep your body strong and against the pole and loosen your hand grip slightly to allow your body to slide to the floor onto your knees. Place your strong, inside arm high on the pole and walk around. Place your weakest arm across your chest with your hand on the pole. Kick your outside leg out to your side, keeping it straight and without your leg touching the pole. Bend your knee in front of you. Hop off the ground with your inside leg, bringing it up to meet your outside leg. Both legs should be together, with your knees bent at a 90 degree angle. Place your strong arm high on the pole and walk around. Place your inside foot on the ground, followed by your outside foot. Push your bum back, then around towards your outside leg. Turn your body to face the other direction as you swap hands. From a pole sit make sure that you have a very good grip with your legs. Lean back and take your hands off of the pole. Use your inner thigh for grip as well as the crossing of your legs. Keep your weaker leg pointed in a straight line and put your arms out behind your head. From a basic invert grip very tightly with your legs. When you have a strong grip take your arms of the pole and hold them out to the side. Side climb on the pole. Keep your top leg over the top of the pole bending it at the knee. Place your weaker leg on the pole with your bottom foot on the pole. Hold on to your strong leg at the foot and lean away from the pole to pose. As you invert on the pole place your inside stronger leg over the top of the pole bending it at the knee. Place your strong hand higher on the pole than your strong leg. Place your weaker leg on the pole with your bottom foot on the pole. Hold on to your strong leg at the foot and lean away from the pole to pose. Lie on your back and lift your legs up. Move both legs in a circle – one after the other as if you are cycling. Go into a pole sit and while you are still holding on with your hands straighten both legs keeping them squeezed together, crossing your ankles over. When you have a strong grip with your legs, take your hands off the pole and lean your body back. Keep your legs crossed and straight. Place your strongest arm high on the pole and walk around. Place your inside foot on the ground whilst placing your outside arm across your chest and onto the pole. Kick your outside leg out and around the pole, keeping it straight. Place your outside leg on to the pole with your knee bent at a 90 degree angle. Hop off the ground with your other foot and bring it to the pole to mirror your other leg. Your legs should be either side of the pole, with the fleshier part of your thigh on the pole. Copy the Fireman Spin. When both legs are on the pole straighten your weakest leg and point your toes. Place your inside and strong hand on the pole with your inside hand slightly higher at shoulder height. Bring both legs up to invert and hook your inside leg over the front of the pole and bend at the knee. Point your outside leg away from your body. Take both hands off of the pole. Stand facing the pole about 2 steps away with your feet apart. Place both hands on the pole, one on top of the other. Bend your legs at the knees alternatively, always keep one leg straight and one leg bent as you move your hands down the pole. When your hands are as low as you can get them, pull yourself towards the pole and bend your knees to bring yourself to the ground. (Keep your toes tucked under your feet.) Hold the pole with your strong hand and lean your head and body back. Bring your head and body forward to face the pole. Wiggle your hips. Lift your knees off the ground so that you are on the balls of your feet. Turn your body away from your strong arm and push your bum up to standing. Kneel on the floor facing the pole. Place both hands at the base of the pole. Straighten both legs so that your toes are on the ground, the top of your head is on the ground and the top of your back is lightly touching the pole. Lift your legs off the ground and straighten them so that your body is upside down in a straight line. Place you feet apart, either side of the pole with your strong hand shoulder height on the pole. Bend both knees then bring your body up and through your strong hip. Bend your knees again and take bring your body up through the other hip. Hold loosely onto the pole with your strong hand about shoulder height. Hook your strong leg vertically over the front on the pole. Use this grip to allow you to lean backwards and arch your back to pose. ‘Inside’ refers to the side of the body that is closest to the pole. Used to stand from floor work as if from on knees. Holding on to the pole with your strong hand, place your weak foot on the floor and put your weak hand on that knee. Lift up your strong leg to put your foot on the floor, with your knees apart. Place your strong hand on your strong knee to close your legs. Stand up pushing your bum up. Stand facing the pole about 2 steps away with your feet apart. Place both hands on the pole, one on top of the other. Bend your legs at the knees alternatively, always keep one leg straight and one leg bent as you move your hands down the pole. When your hands are as low as you can get them, flick your hair up and slowly bring yourself up to standing. ‘Outside’ refers to the side of the body that is furthest away from the pole. Place your strong, inside arm as high on the pole that you comfortably can. Walk around. With your inside foot on the ground, swing your outside leg all the way around the pole. Keep it straight, do not let it touch the pole. When your inside foot feels like it should come off the ground, place your outside foot on the ground to lift your inside foot. From here you can continue into a different move. Face the pole and while keeping your legs straight, bend your body over so that your back is on the pole with your spine either side. Place your hands straight up on the pole roughly at the same height as your bottom. Using your hands for grip, arm strength and abs, lift your legs up so that your body is upside in a straight line. Place your strong, inside arm as high on the pole that you comfortably can. As you walk around the pole place your inside foot on the ground followed by your outside foot. From here twist your body underneath your inside arm,turning on your outside foot to finish with your back on the pole. Change your hand position from having your thumb facing the ceiling, to having your thumb pointing to the ground. Lift your (formerly) inside leg off the ground and bend at the knee with your foot towards the pole to pose to finish. Stand with your back on the pole. Place both hands above your head on the pole with your thumbs facing the floor. Lift your strong leg up, bending it up and the knee, with your foot placed on the pole. Face the pole. Place your strong arm high on the pole. Place your strong leg vertically on the pole with your ankle crossed behind the pole (the side closet to you) Place your weaker hand on the pole underneath your stronger hand. Using your arms to pull and your strong leg to push away, push off the ground with your weaker leg. Lift your body up. Place your weaker leg on the front of the pole so that your ankles are crossed around the pole. Grip the pole with the lower half of your legs. To continue climbing, repeat this process from the beginning. From a pole climb use your arms to pull your body up and hold your weight. Bend your weakest leg at the knee so that the top of your foot and inner thigh are touching the pole. Place your strong leg over the top of the weaker leg and cross at the knees, gripping with the thighs and foot. Place your strong hand high on the pole. Walk around the pole. Keep your inside foot on the ground and kick your outside leg out from the pole. Keep it straight and bring it towards the pole as you bring your outside hand onto the pole, placing your hand below your leg. 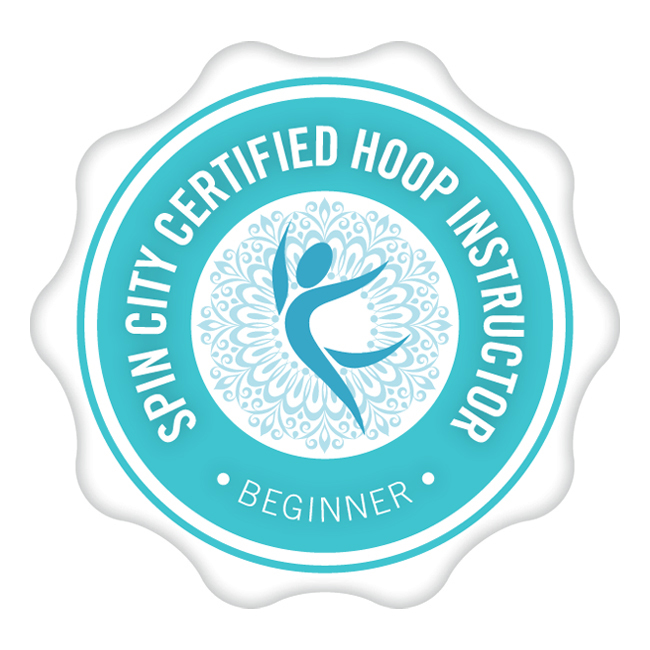 As you spin take your other leg off the ground and between your arms. Place it on the pole with the pole across the back of your thigh. Keep your legs straight so that they are in a V shape. This is a backwards step before then continuing forward. For example place your outside foot behind your inside foot and continue walking on your inside foot. Used to untangle your body after a spin. Stand with your back against the pole with your spine over the pole towards the weaker side of your body so that your spine is not resting on the pole. Place your strong hand above your head on the pole so that your elbow is pointing in front of you. Place your weaker hand above this. Place your body and hips on the side of the pole away from your strong arm. Make sure you look at the ceiling. Swing your outside weaker leg backwards then forwards. When it is forward use this momentum take your legs up towards the ceiling as you jump your stronger leg off the ground. You will need to pull the pole towards you with your hands. When your legs are getting above your head, hook your weaker leg over the front of the pole and grip on the back with your weaker leg. When you have a good grip take your hands away so you are now inverted. 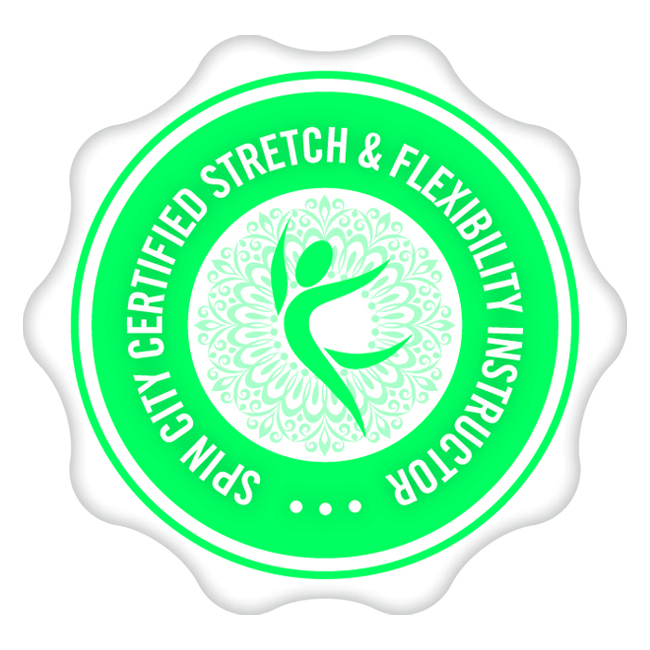 From an invert of the pole, loosen your leg grip and slide your body closer to the floor. When your head is close to the floor lift up your head slightly and allow your strongest shoulder to touch the floor. Use this connection to allow the rest of your body to slowly roll to the floor by loosening your grip on the pole. Stand with your strong side of your body close to the pole. Place your strong, inside hand on the pole and your weaker hand above it on the pole. Take your inside leg and place it high over the pole, bending your leg at the knee. Using the grip on the back of your leg and your arms, pull your body up and place your weaker leg on the pole gripping with the top of your foot and shin. From here pull your body up. Repeat to climb by placing your inner strong leg over the pole again followed by your other leg. Repeat as necessary. Begin on your knees. Place both hands on the floor and slide them forward with your head down but keeping your bum in the air. Come on to your forearms and lower you bum to the ground as you lift up your feet. Move your feet away from the pole (if you are using this move to come off the pole) Put your legs back on the ground. Lift your bum up as you push with your hands to push your body back up. Lift your head up last so that you are sitting on your knees again. One hand is placed high on the pole while the other is placed as low on the pole as you comfortably can. Stand facing the pole. Place both hands on the pole at shoulder height. Place your bottom foot on the pole with the pole across the bottom of your foot. Using your hands to pull you jump your weaker leg off the ground and place it on the front of the pole with the pole at your ankle. Go in to the split heel pose as above and take your outside hand off the pole. Straighten your body so that you are not bent over in any way and place your hand out to your side to pose. As you invert on the pole place your inside stronger leg over the top of the pole bending it at the knee. Place your strong hand higher on the pole than your strong leg. Push your weaker leg out towards the ground keeping it straight. Straighten your strong leg so that both legs are in a V shape. Stand with your strong, inside leg close to the pole. Swing your inside leg up and place it high over the front of the pole with the pole at the bend of your knee. Hold the pole with your strong hand. Keeping your outside leg straight, bend forward stroking your leg with your outside hand. When you are as low as you can go, flick your hair and slowly come upright. Place your strong foot on the ground. Place your strong inside arm high on the pole and walk around. Place your weakest arm across your chest and your hand on the pole. Place your outside foot on the ground and swing your inside leg up and hook it on to the front of the pole, keeping it relatively low on the pole. The pole should be run the length of your calf muscle. Lean your body weight forward and push off the ground with your outside leg. Kick the outside leg out, as far away from the pole as you can, keeping it straight. Bring this leg around to join your inside leg. This is your strongest arm, usually the arm that you write with or lead with. Moves should be practised using both arms as the strongest arm to build up equal strength on your body. Place your strong hand high on the pole, keeping it straight. Lean your body out slightly and walk around the pole. With your back against the pole have your strong hand on the pole behind your head with your thumb pointing to the floor. Use this hold your body to the pole. Wiggle your hips up and down as you move you body to the ground. When you knees are bent place your weakest hand on the corresponding knee, using it to open both legs as if to flash. Close your legs. Turn your body to the side of your strongest arm (eg. right if you are right-handed) Change your hand to have your thumb pointing up, put your outside hand on that knee and push up to standing, with your bum first. Stand with your feet hip width apart facing the pole with your strong hand loosely holding the pole about shoulder height. Bend your knees and bring your hips up to the right hand side. Bend your knees again and bring your hips up on the left hand side. Repeat as needed. Stand with your feet hip width apart facing the pole with your strong hand loosely holding the pole about shoulder height. 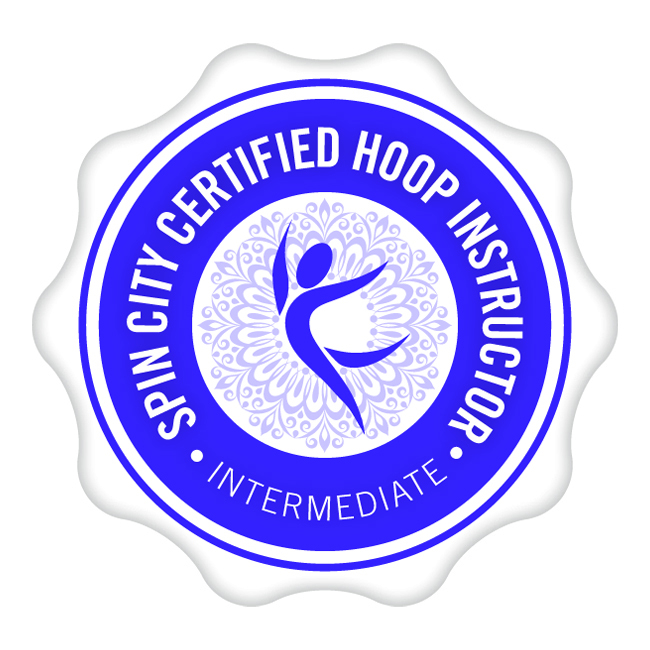 Move your hips slowly in a figure of eight movement; Move your hips in a clockwise circle to the right and then an anti-clockwise circle to the left. Do you want to add a term to the glossary? 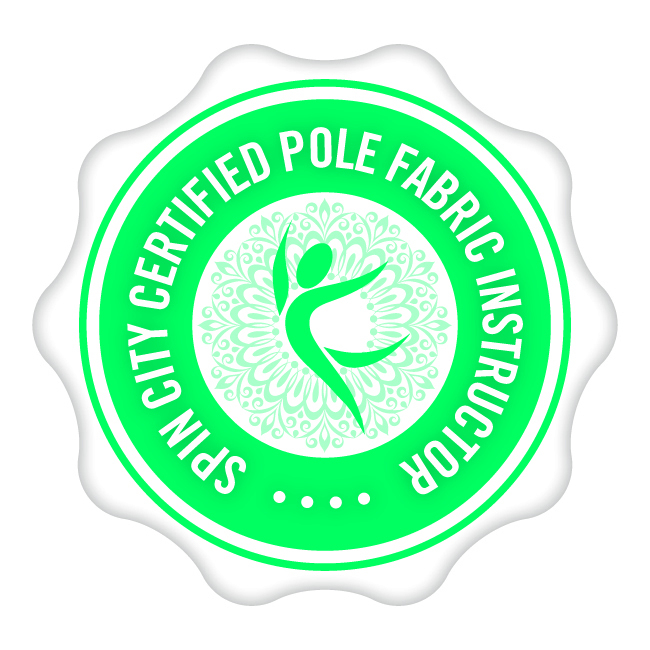 Do you have a pole dancing term that you need to be explained? Just contact us and we can do just that.